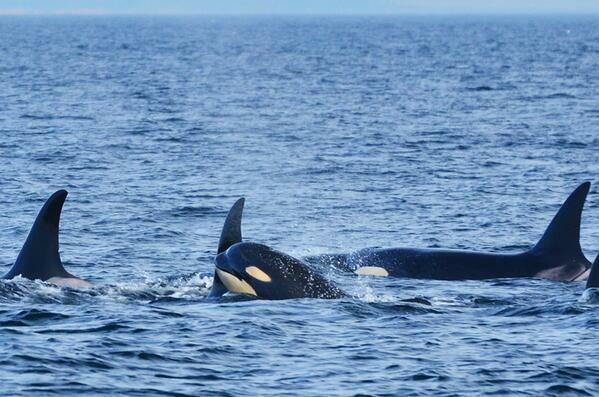 How heartbreaking to see the mother orcas screaming and crying when their babies are taken from them. How can this be legal and allowed? All of this needs to be illegal and stopped! Sea World: What you have done to these mothers and children is completely despicable!!! For many people, sadly, when money is introduced, morals and ethics tend to fade away. As slaves were meant to be free, so are killer whales. I cannot believe how SW made the workers feel it was OK to risk their lives...it was "just part of the job". OSHA shut them down!! Sea World: Stop lying about the longevity of captive Orcas! A shorter life in the wild would be far superior to any time spent at Sea World! STOP BREEDING! STOP TRAINING tricks! Seaworld IT IS NOT OK! Will CNN be airing it again? SW PR handbook: animals are not "captured," they are "collected." Orcas not in "tanks," in "aquaria". #Blackfish . Join the conversation about #blackfish at cnn.com/blackfishlive, featuring instant reaction from director @GabCowperthwait and more! Who's watching @CNN 's #Blackfish documentary? What are your thoughts? When you see these videos, and see all the details of incidents, amazing more trainers haven't been killed. So many close calls. #Blackfish . 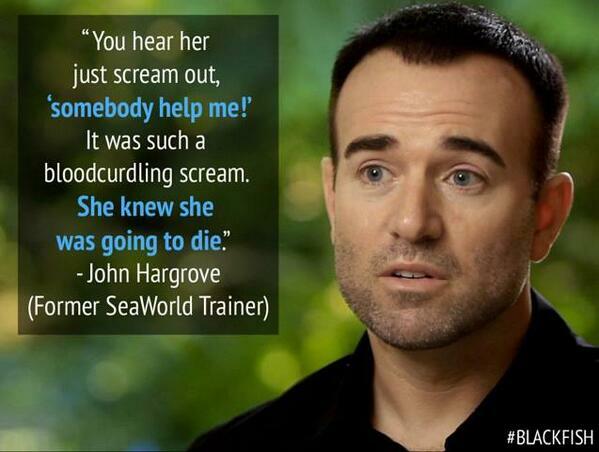 Sea World trainers should not be instructed to use negative punishment!! This behavior is almost as bad as that seen in The Cove. While I recognize the biological research you've presented over the years, Sea World, your time is OVER. Release your whales and close your doors. Best documentary this year = BLACKFISH...have you seen it?